I love memoirs and fictionalized stories based on real life characters and events. While not actually a memoir, Path of Lucas combines drama and historical fiction into a novel with a memoir-like feel. What did I think of Path of Lucas: The Journey He Endured by Susanne Bellefeuille? I received a complimentary copy of this book from the author or publisher for use in my review. All opinions are my own. Path of Lucas follows Lucas Clarkson who is a simple man, a family man, and a hard working farmer’s son. From a small town in Eastern Ontario, the author, Susanne Bellefeuille, brings us on Lucas’s journey through the trials and tribulations of his life. Lucas’s path is not as simple as the man he’s portrayed to be. From the days spent working on his dad’s farm to becoming a successful mechanic, with a genuine heart and his incredible strength, Lucas faces many difficult decisions. The choices he makes may be the difference between realizing his dreams and keeping his family together. Based on true events, this is Susanne Bellefeuille’s first novel. The Path of Lucas is a Heartfelt Life and Love Story. The author does a nice job telling the story of Lucas and the path he guided his family on throughout his life. Readers will be drawn to the man and feel the range of emotions as they follow the events of his life. Expect to smile--and be saddened--and be drawn to continue through the pages to the end. While it isn't a heart stopping "page turner"---it is a well organized, engaging story. Bellefeuille Uses a Very Simplistic Writing Style. 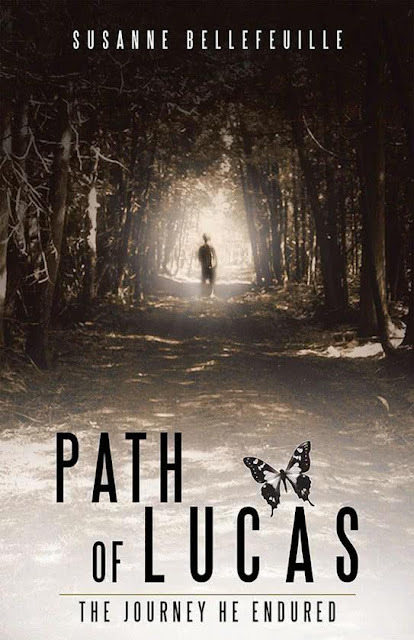 The sentence structure and the dialogue of Path of Lucas stay true to the main character's nature as the author tells a complicated, complex story in a very basic, simplistic fashion. While the simplistic nature of the story made it very easy to follow and gave it a more memoir-like feel--it also made the dialogue and scenes a bit choppy and broken at times. While initially, I found the dialogue bothersome--I almost wondered if the author was not trying to pull readers into those basic, broken English/broken French conversations between Lucas and his love interest--and that consideration made much of the book seem more authentic. Unfortunately; for me, that simple writing style lost some of that same significance through the other parts of the book, where language barriers were not displayed. I think the style kept me from feeling a natural depth and deep connection to the story at times. Would I recommend Path of Lucas by Susanne Bellefeuille? While, I did find that the plain dialogue and structure left me feeling that some of the characters and their actions were too good to be true or just far less than realistic at times--I did enjoy the story of Lucas' path. I loved the PG nature of the book--and did enjoy reading Lucas' life story and his love story. If you like a clean romance or drama, written in almost a memoir-style fashion--this book is worthy of a spot on your reading list. 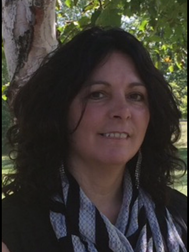 Susanne Bellefeuille is a sister, mother, grandmother, and an inspirational mentor to many people. Graduating from the social service worker program at St. Lawrence College in Cornwall, Ontario, Susanne spends countless hours offering her professional aid, guidance, and most importantly, her friendship to people with intellectual disabilities. Susanne’s life changed remarkably after the realization that her desires would require her to complete college and set a better example for her children and grandchildren. From being a high school dropout and a mother at the young age of seventeen, Susanne has journeyed a considerable distance to become the successful person she is today. Her journey is not only to write books but also to help people reach their full potential, as she truly believes that everyone deserves the opportunity to shine in life.